I just setup a Flickr account and I wanted to give it a try. 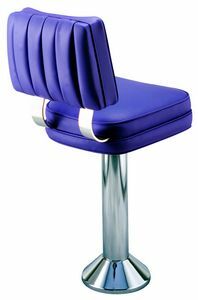 I posted this image of Richardson Seating’s floor mounted bar stool and wanted to see what happens. This bar stool is a great commercial counter stool. High Country Iron Quality rustic decor. Unique wrought iron decor for your southwestern home or cabin. Product lines include blanket stands, coat racks, towel bars, towel rings & other bath accessories. Handmade in the USA.